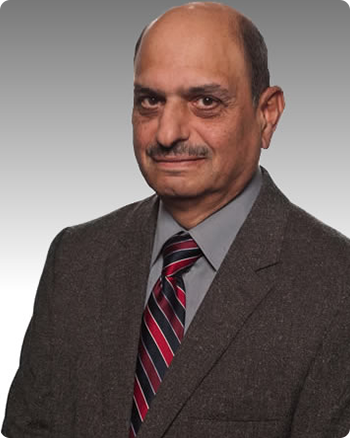 Board certified in internal medicine and gastroenterology, Dr. Iqbal Ahmed has been practicing since 1980. He received his medical degree at Government Medical College in Punjab, India, after which he completed his residency in internal medicine at Punjabi University. Later, he completed an internship and residency in internal medicine at Memorial University in St. Jon, Newfoundland, Canada, and pursued a fellowship in gastroenterology at the University of Ottawa. After serving as an associate physician and director of the GI Clinic at Fairview General Hospital in Cleveland, Dr. Ahmed maintained a solo private practice in gastroenterology from 1982 to 2003 before joining North Shore Gastroenterology in Westlake, Ohio. Dr. Ahmed is a fellow of the American College of Gastroenterology (FACG). He is proficient in all endoscopic procedures, including EGD, colonoscopy, biopsy, polypectomy, percutaneous endoscopic gastrostomy (PEG), percutaneous endoscopic jujenostomy (PEJ), sclerotherapy and band ligation for varices, Sengstaken-Blakemore tube insertion, capsule endoscopy, and endoscopic control of acute upper and lower GI bleeds. As a caring and compassionate physician, Dr. Ahmed’s goal is to provide the best possible care to his patients at all times.